Synopsis: A helpful reference for teachers and aspiring players. 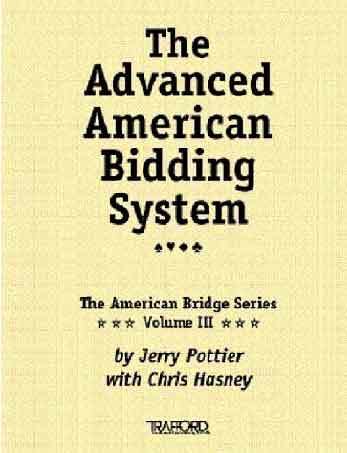 The American Bridge Series is designed as a sequential set of bidding courses, suitable for self-study or classroom-style study under the guidance of a professional bridge teacher. Volumes I through III include declarer play and defense skills as they relate to the bidding skills taught in each text. Volume IV is reserved for true experts; thus, declarer play and defense lessons would be an insult and are not included. The entire series takes about five years of study and practice to complete.